This is my three-hundreth and sixth Works For Me Wednesday post. 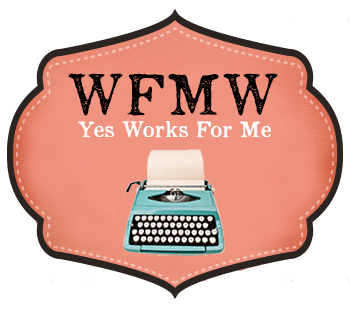 WFMW has been around for years and I have loved hosting it. But I’ve been out of good ideas for a long time and I want to pass it along to someone who will give it new life. The baton was passed to me and I want to pass it to someone you will adore. Mary, from Giving Up on Perfect, is a long-time WFMW participant and (real life friend). We’ve written together at (in)courage for years and one time she drove a big van full of bloggers across a state with me navigating. (Her driving is a lot better than my sense of direction). I will miss this weekly link-up, but I hope you’ll join it at its new home starting NEXT WEEK. (I’ll keep reminding you this month). Some of you have been linking up your helpful tips for as long as I have. Thank you. I hope you’ll continue. How Exactly Did This Become My Job?